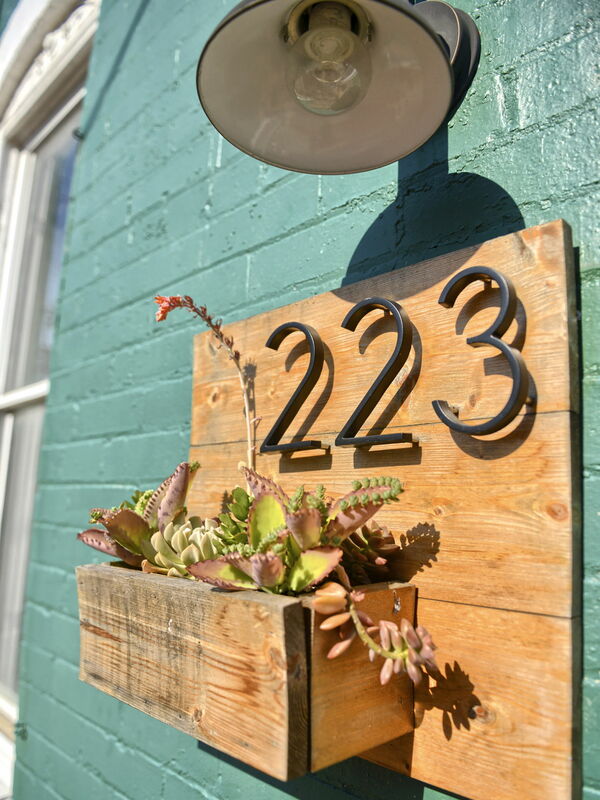 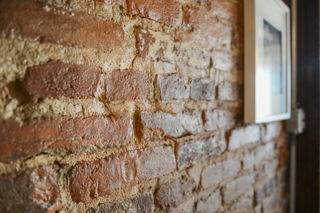 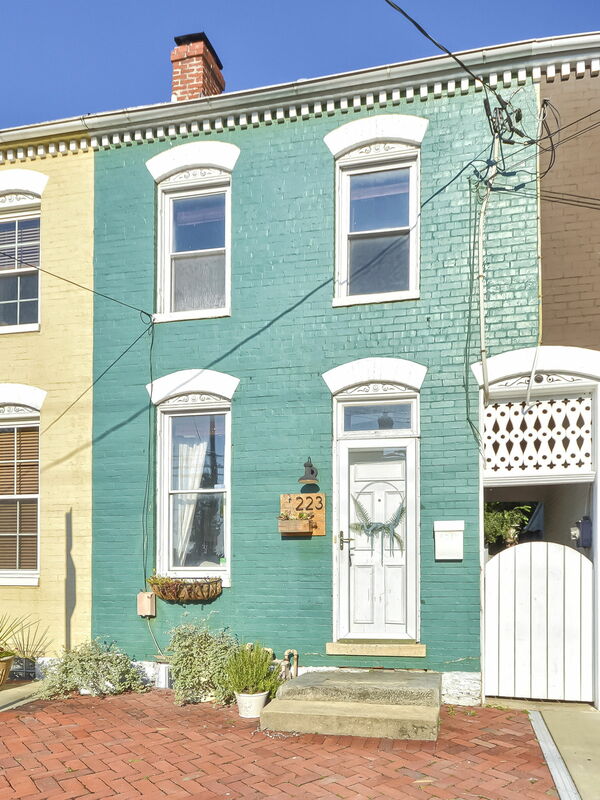 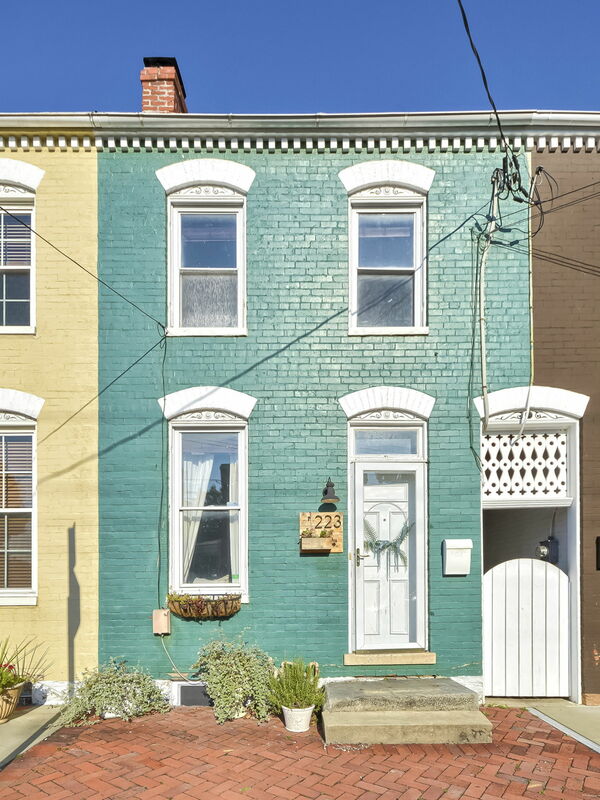 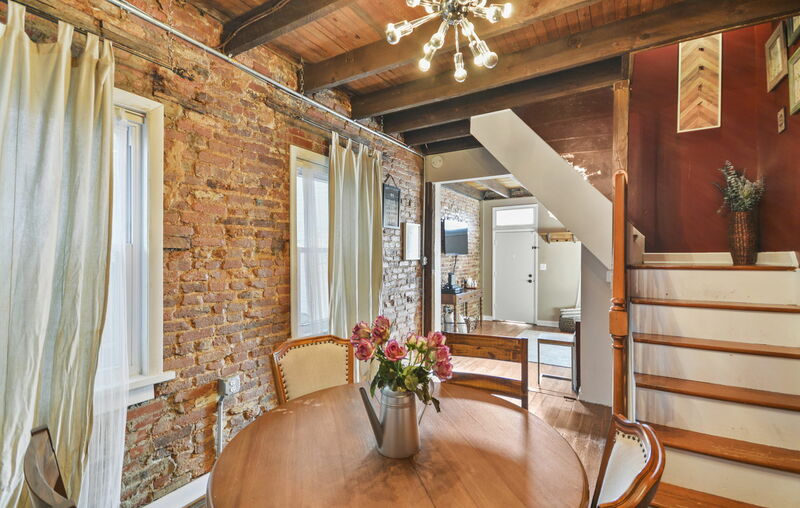 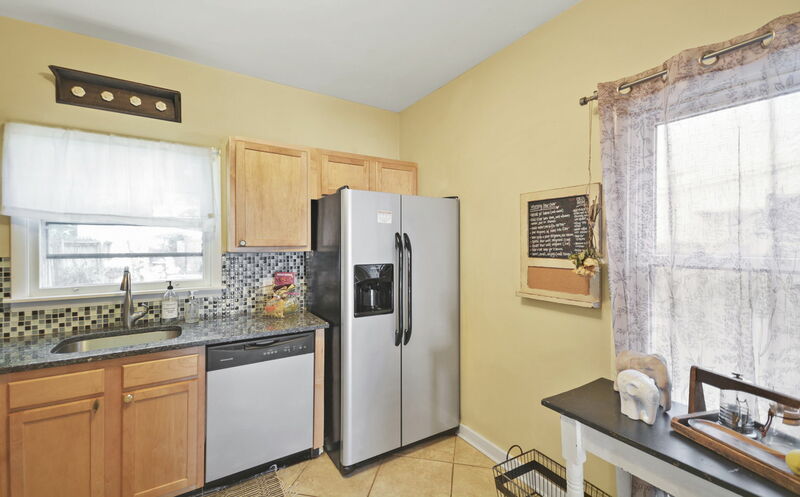 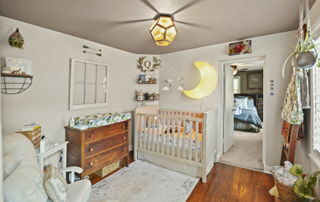 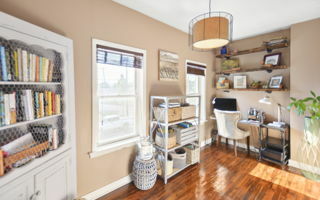 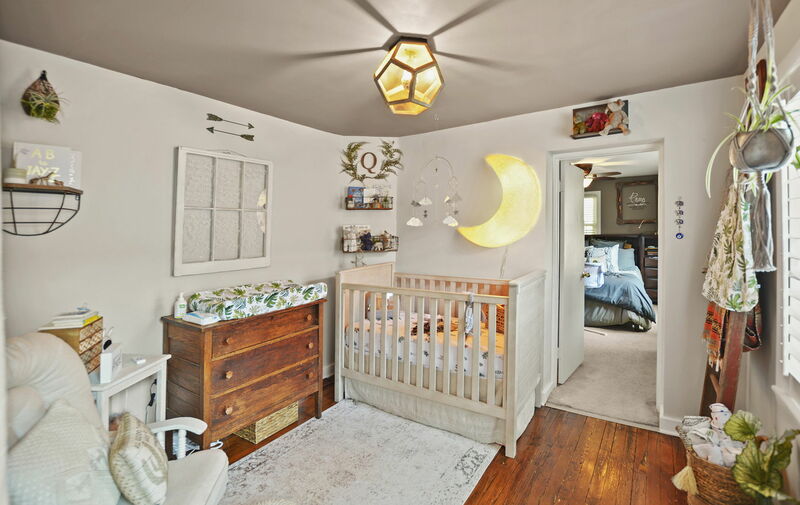 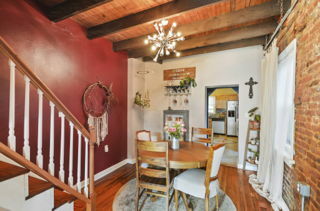 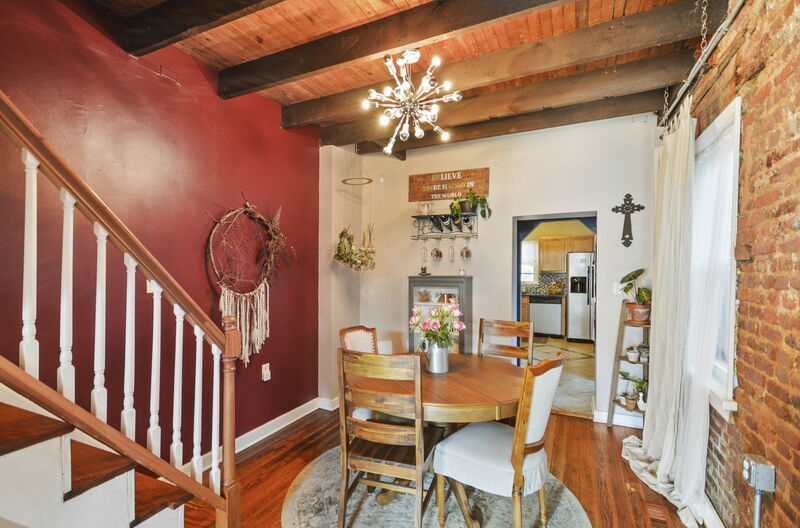 Welcome home to this charming row home in Downtown Frederick. 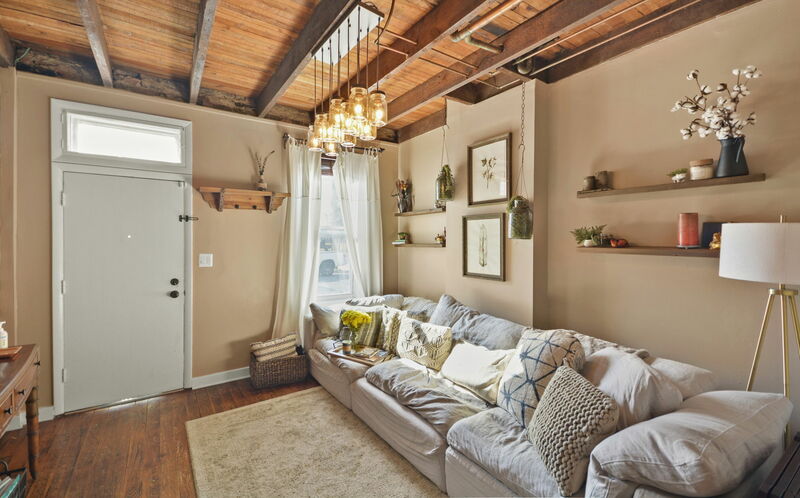 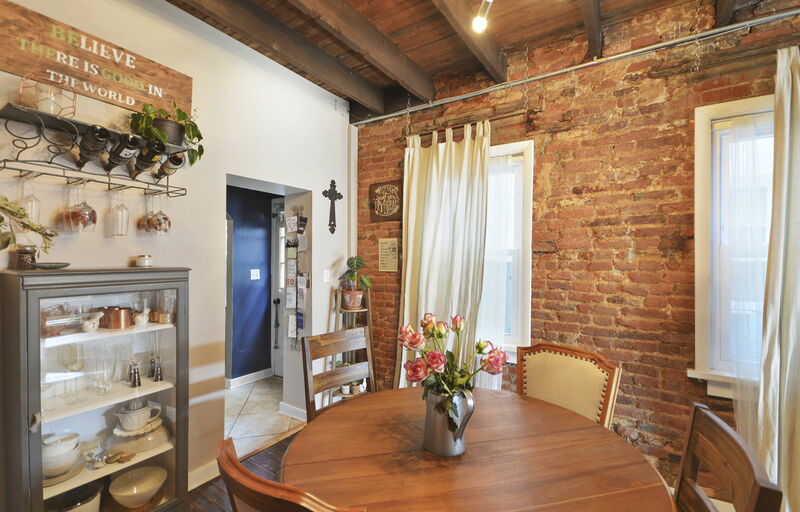 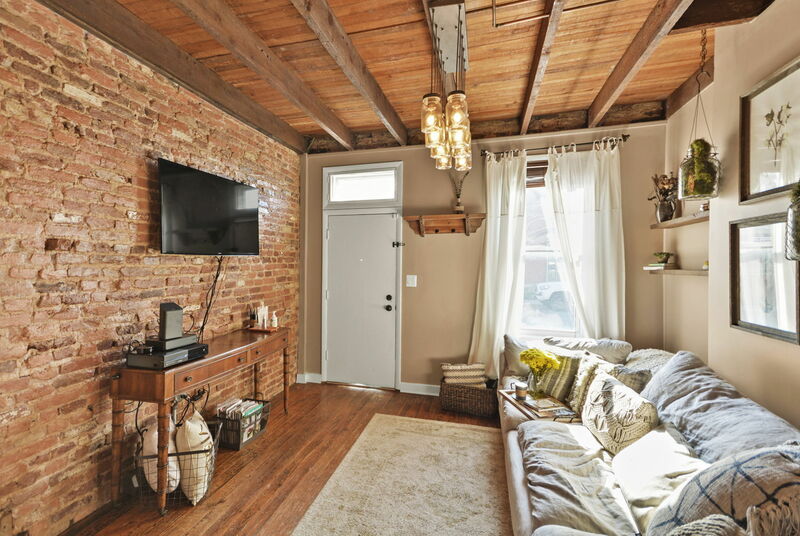 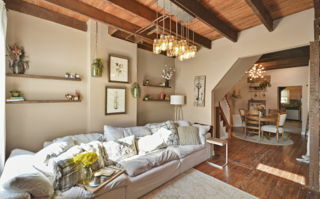 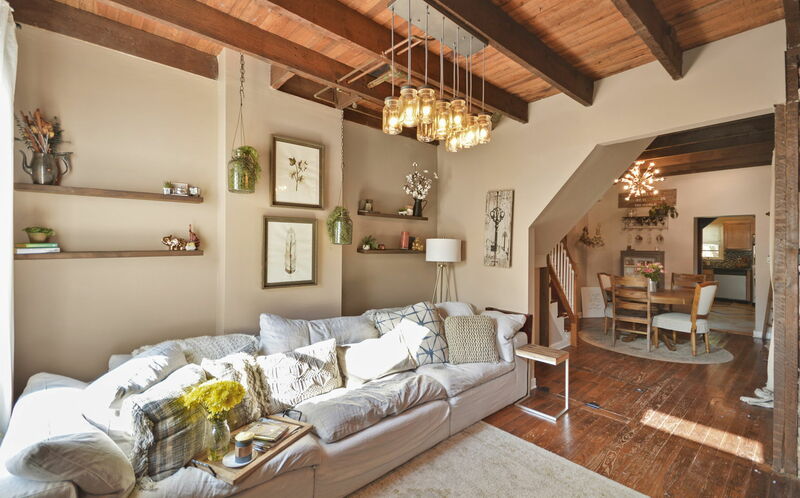 Featuring exposed brick and beams throughout the first floor, gorgeous hardwood floors, a 1/2 bath on the main level, and the laundry off the kitchen for your convenience. 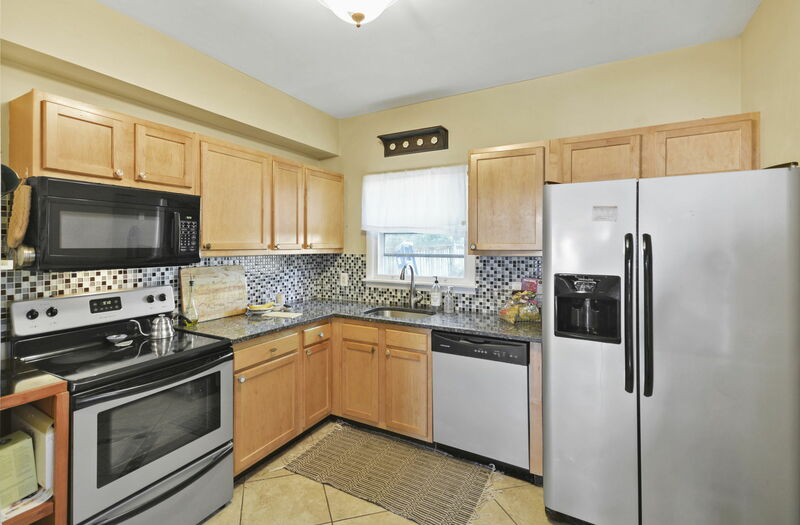 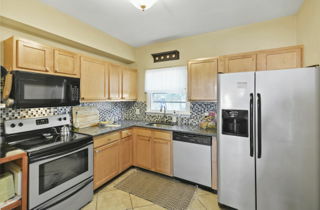 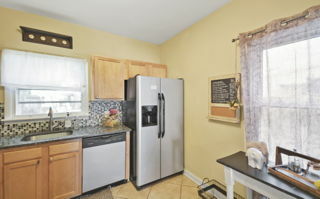 Updated kitchen with granite, backsplash, and stainless appliances. 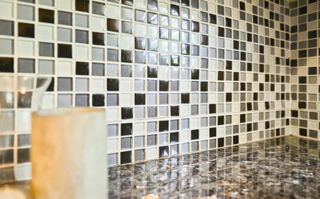 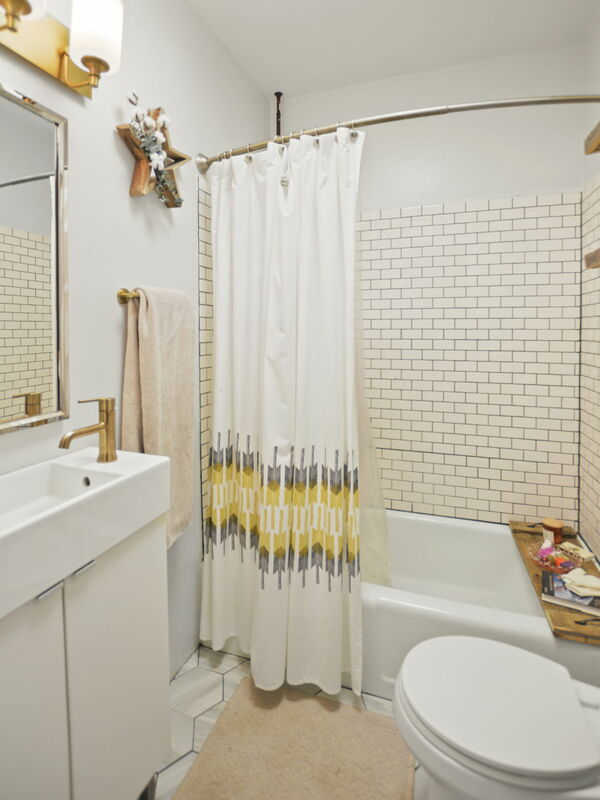 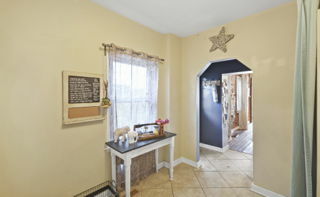 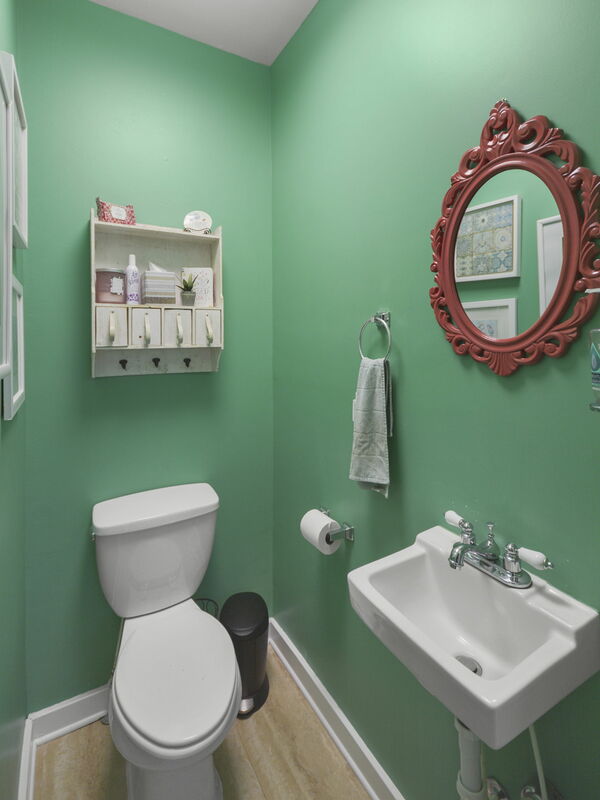 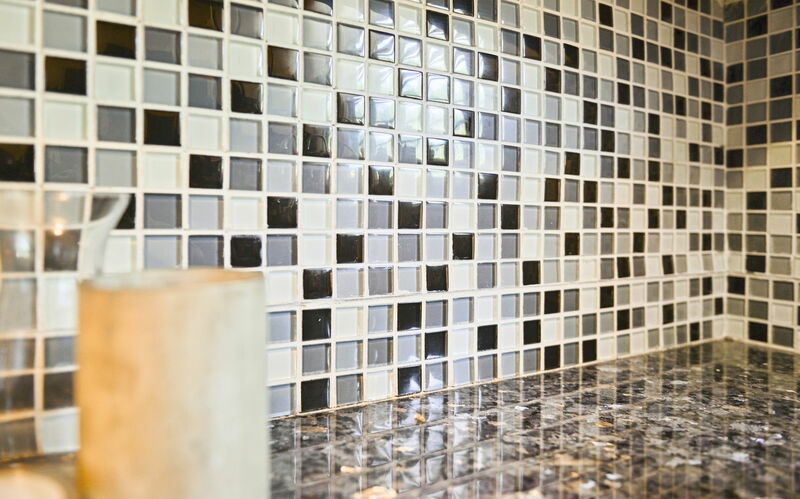 Upstairs you'll find an updated full bathroom with subway tile. Each bedroom has custom closet organizers for your space saving needs. 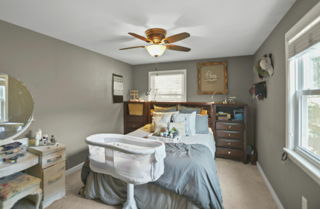 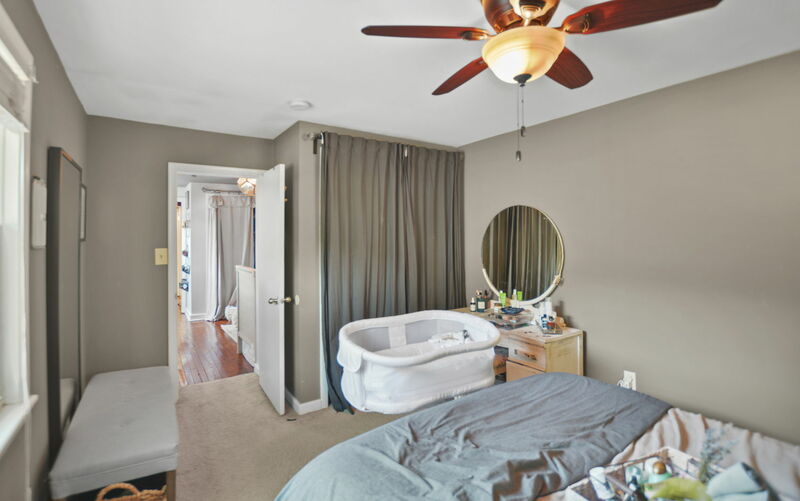 The master bedroom has carpeted flooring (only space in the home) and is off the rear of the home. 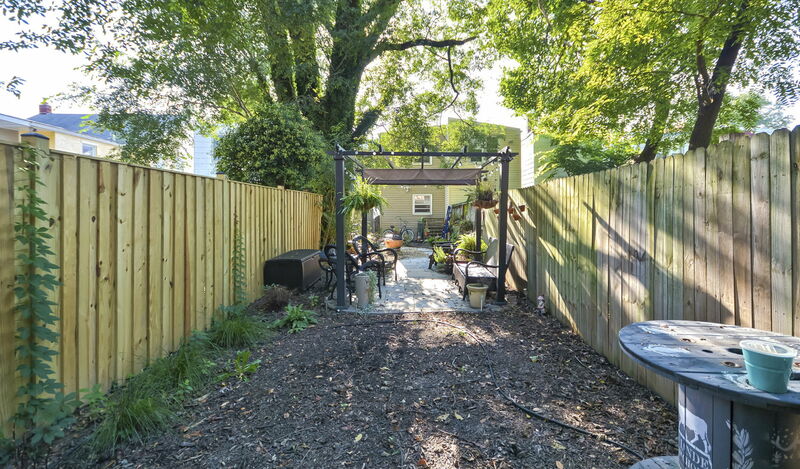 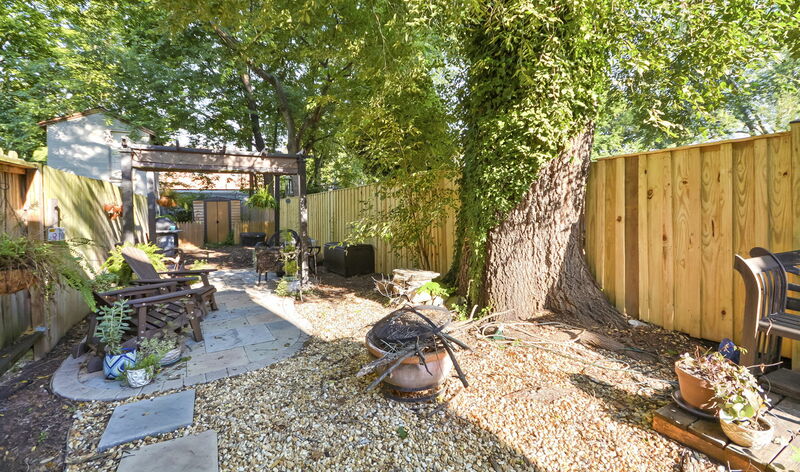 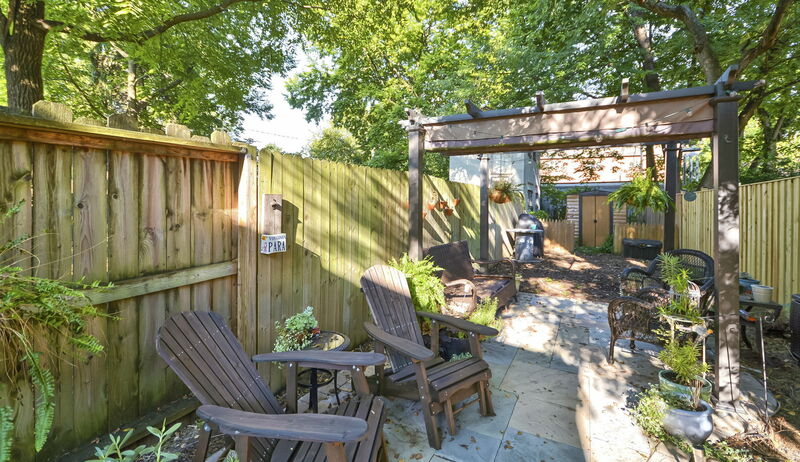 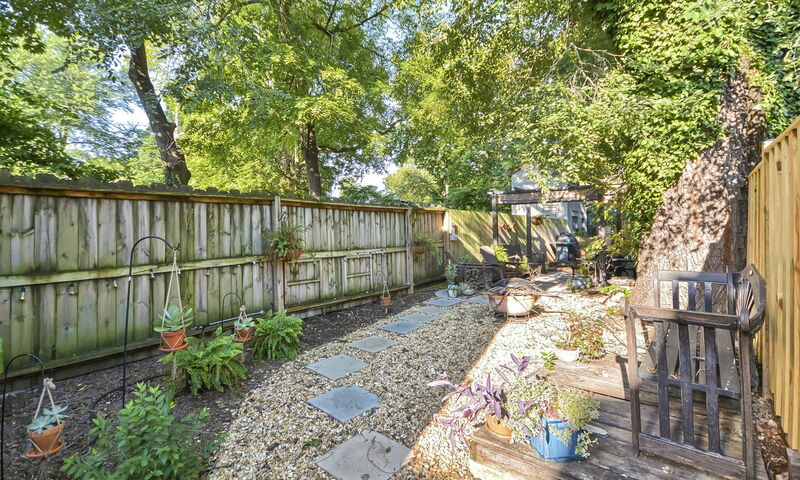 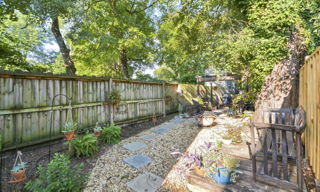 Wait until you see this charming and private backyard, your own oasis!! BRAND NEW gutters! Central air. Upgraded windows.